I don't know much about eSports, but apparently quite a few mostly younger people know a whole lot. Not only that but there is a whole lot of (illegal?) gambling go on. Teenagers from every jurisdiction in the US and Canada can bet on everything from video game outcomes to coin flips using something called skins as currency. A fifteen year old in Texas can bet on a variety of eSports but 50 year old can't make a legal $2 bet on a horse race online in Texas, Alaska, Georgia, etc. Something is really wrong with this picture. Instead of fighting for a bigger piece of a shrinking pie, horse racing execs need to get together and expand their customer base. 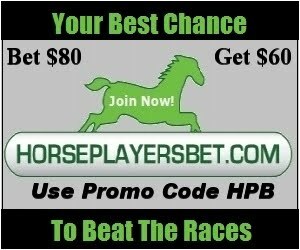 Simple suggestions: A nationwide horse racing lottery like the V8, lobbying the states that don't allow online horse racing betting to get in the game, and ahem, lowering the takeout. I'm sure that the States will come down hard on eSports.....eventually, like they are doing right now with Fantasy Sports. I just don't see any jurisdictions legalizing it. Meanwhile, just like with the online poker surge from a few years back, we just see more proof that young people like to gamble, they just don't seem to like to gamble on parimutuel horse racing. A few visible winners might change that, but that would mean that all racetracks, not one, not two, but all, would have to reduce takeout to the 10-12% range tops. I don't see that coming to fruition anytime soon. The horse racing industry pats itself on the back over handle gains that don't even beat inflation and use these results as the reason that radical changes are just not necessary.